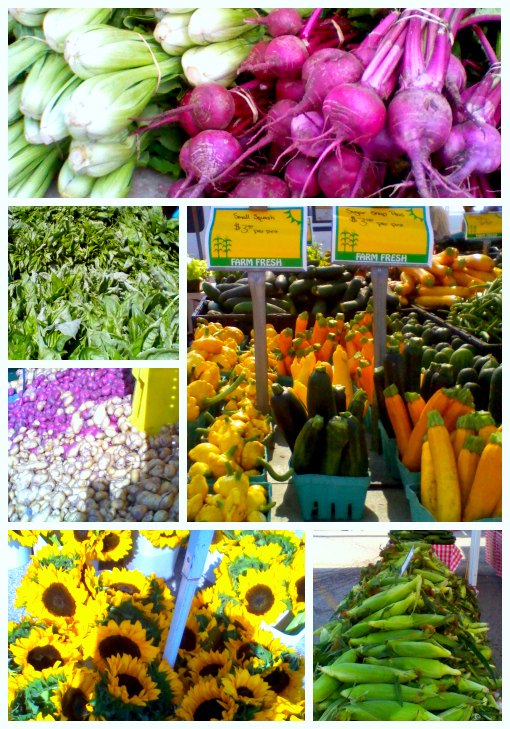 I rarely post on weekends, but actually remembered to take some pics at the market this morning, and I wanted to share. 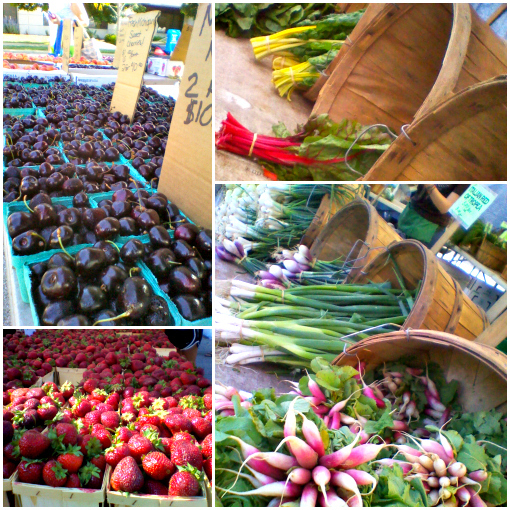 You don't have to drive too far out of Chicago to hit farmland... which means the city benefits from easy access to locally grown produce! And not just during the summer months. Many small farmers sell pretty much year-round thanks to great indoor venues (we go to the Nature Museum) ... and the innovative things farmers are doing with greenhouses, storage and meat production. 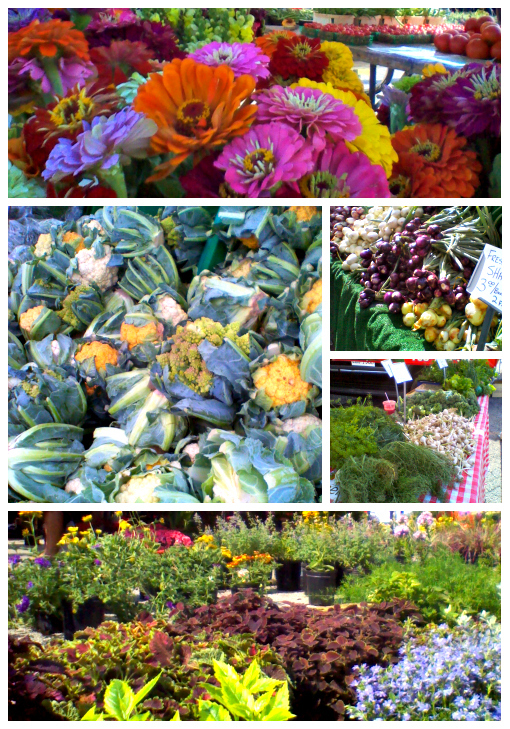 In the summer months, we go the market in Evanston every Saturday and I'm constantly dazzled by the colors, and the care sellers put into displaying their wares. 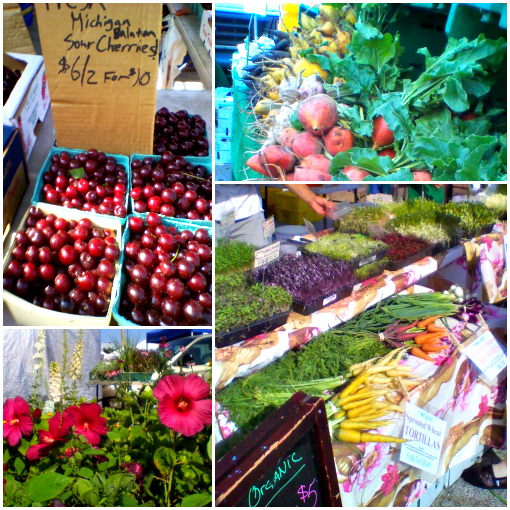 Today's best buy: Michigan cherries and sweet corn! Oh, and just to give a shout-out to Evanston: Not only are they licensed to accept SNAP benefits (Supplemental Nutrition Assistance Program), but they have somehow raised the money to match the benefits dollar for dollar. So people receiving "food stamps" and trying to stretch that money can, in many cases, pay less for local produce at the market than they would for the stuff we can get at a grocery store. 1 comment on "Inspiration: To market, to market...."
Candice, you all should come up to the one at Independence Park (on Central St) on Wed from 3-7 and see the beautiful way Common Roots farm displays their veggies. Also, visit me!